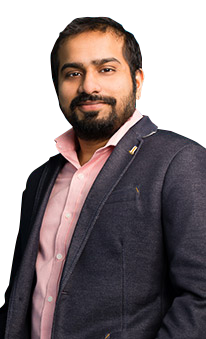 Dhruv Mehta was a project manager with The Royal Bank of Scotland in India before coming to Canada. Even with his previous project management experience, Dhruv found PACE provided him with instrumental training — including the use of industry-related tools like analytical structuring, budgeting, and procuring, which have broad business applications. He also found the program schedule was well-timed to make sure that students gain knowledge of current industrial practices, especially in the Canadian context. Dhruv is now a Contract Manager-Team Lead at SkipTheDishes.